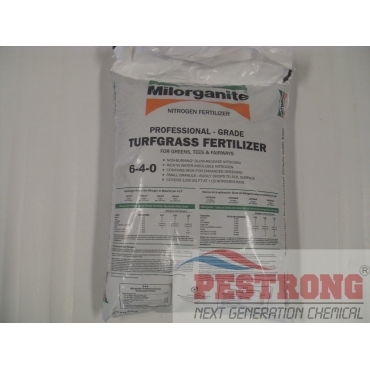 Where to Buy Milorganite 6-4-0, Milorganite 6-4-0 Professional Greens 2.5% Iron - 50 Lbs - $56.95 for Sale with Fast Free Shipping! Milorganite 6-4-0 Professional Greens 2.5% Iron - 50 Lbs is the newst milorganite professional product line. Alpine Cockroach Gel Bait Rotation 2.. These SGN 90 granules is the greens grade. 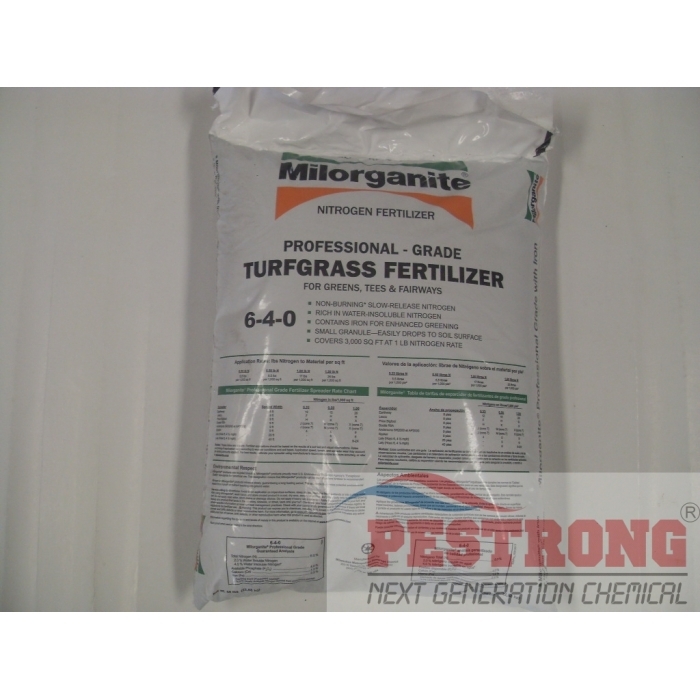 Milorganite 6-4-0 is a slow-release nitrogen fertilizer guaranteed to contain not less than 6% nitrogen, at least 85% of which is water-insoluble (WIN). The available phosphorus is not less than 4%. Milorganite also contains at 2.5% iron. Calcium in Milorganite helps in neutralizing acidic soils and the effects of its nitrogen. Slow release formula provides greening without excessive top growth-which means less mowing. SGN90 - easily drops to soil surface. We do not carry 6-4-0 regular granule size (SGN160) at this time. 50 Lb bag covers 2,000 ~ 6,000 sq.ft. at 1.5 ~ 0.5 Lb. Nitrogen rate. I've been using this product for a long time, it eliminates ants like no other! I've been buying 1lb size from the hardware but they were out of it and so I tried to look online, and man! the price is so much better! Thank you so much! Pestrong continues to be my go-to vender because of their attractive pricing, speed of delivery and professional service.